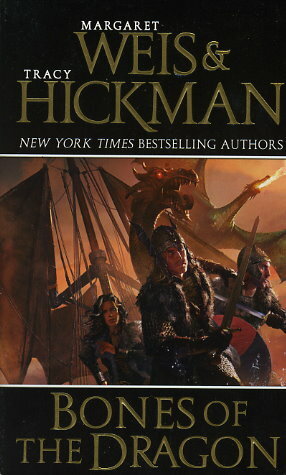 The creative minds behind the bestselling worlds of Dragonlance, Darksword, and the Death Gate Cycle have reunited for a new fantasy quest epic in the world of DRAGONSHIPS. The sea-raider Skylan Ivorson feels he deserves to be Chief of Chiefs of all the Vindrasi clans, for he has been blessed by Skoval, the god of war. But sometimes a blessing is a curse in disguise. Skoval and the other ancient gods are under siege from a new generation of power-hungry gods. The key to stopping them lies within the Five Bones of the Vektia Dragons -- the primal dragons forged by the Dragon-Goddess Vindrash during the creation of the world. But their whereabouts are a mystery even to the gods themselves. It will be up to the Vindrasi, as the Dragon Goddess's champions, to undertake the quest to recover all five. This is not only a quest to save the world; it is also a quest for redemption -- to atone for the ancient folly of the gods and the arrogance of the young hero Skylan as well.